Located on 13 acres in the foothills of the Blue Ridge Mountains….”as a bonus” just a short distance from our cabin is the Cherokee Foothills National Scenic Byway. Riding in this area of the country is awesome….nice gentle curves and plenty of small town places to visit. No interstates and no hustle and bustle…just laid back comfort. Towns nearby are Landrum, Tryon, Asheville, Greer, Spartanburg, Greenville, Saluda and many more. Plenty of destinations to ride to or shop till you drop! We will have FREE cookout everyday and Vendors are on standby for your customization needs. Strawberry Hill and return to Sheppard’s Field ( that’s us ). Chimney Rock on the return, stop at Mom and Pop shops for some sweet things !! More rides are in the planning - so stay tuned! Registration Fee's are for to help offset the organizational cost like sanitation equipment, supplies etc. 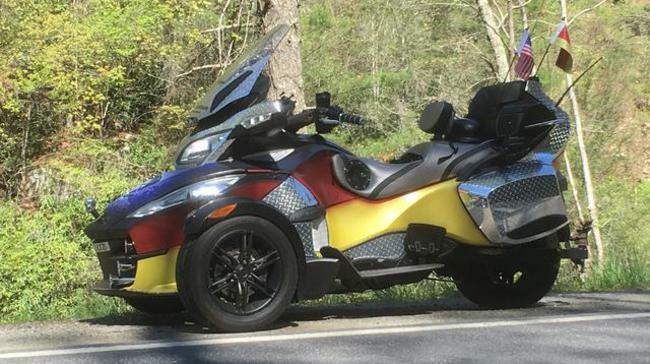 Planning is still being finalized but we wanted to get these dates out to our Spyder friends EARLY so they can plan….every year there is more and more events which is good news for the Spyder community….less travel , more choices and more diversified !! !